There are apps for everything, including spying. Users often download such apps for little to no cost and for innocent reasons, such as monitoring their children’s activity on mobile devices. However, what happens when the app is malicious and instead spies on the original user and the environments that user is in? In the BYOD enterprise environment, this can spell trouble for corporate networks. 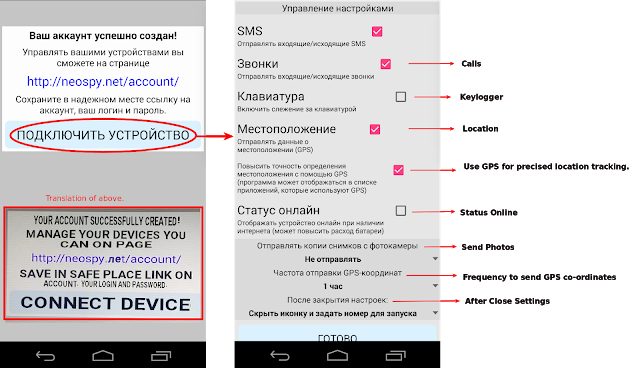 Upon installation, the spyware displays its icon, named NeoSpy Mobile, which, upon clicking, asks the user to register or login. For a new registration, it asks for login name, login email, and password. 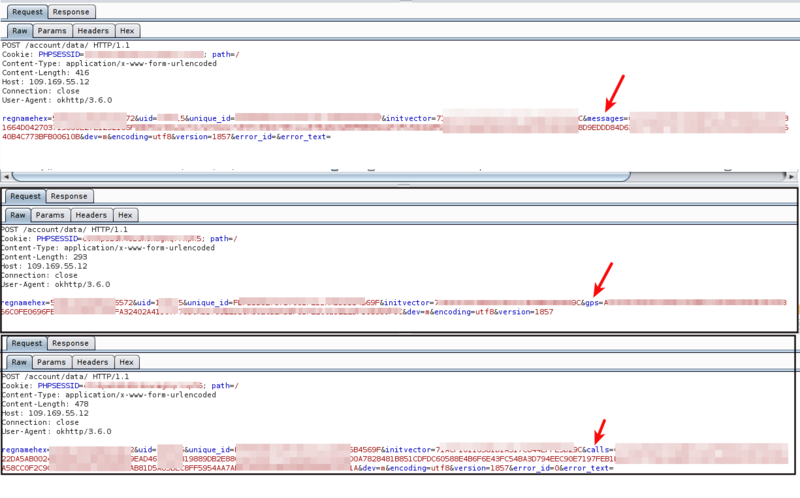 These details were being sent to the server in plain text over HTTP, as can be seen in the screenshot below. Anyone sniffing the network can get these details, which opens another attack vector—but that's a completely different story. 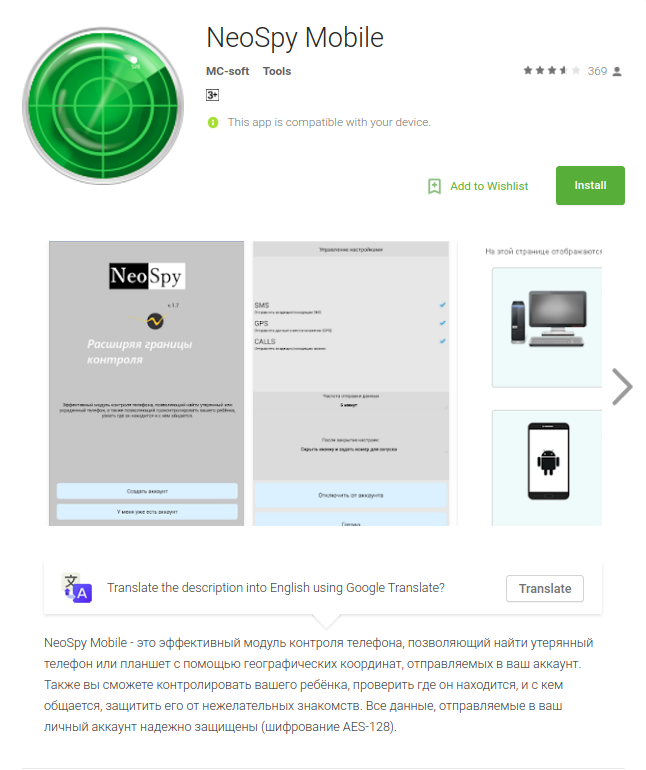 As soon as the destination address is received, NeoSpy starts its services and continuously hunts for incoming SMS messages and phone calls, and sends them over to the IP address specified by NeoSpy server. Over the course of the spyware life cycle, the victim remains totally unaware. 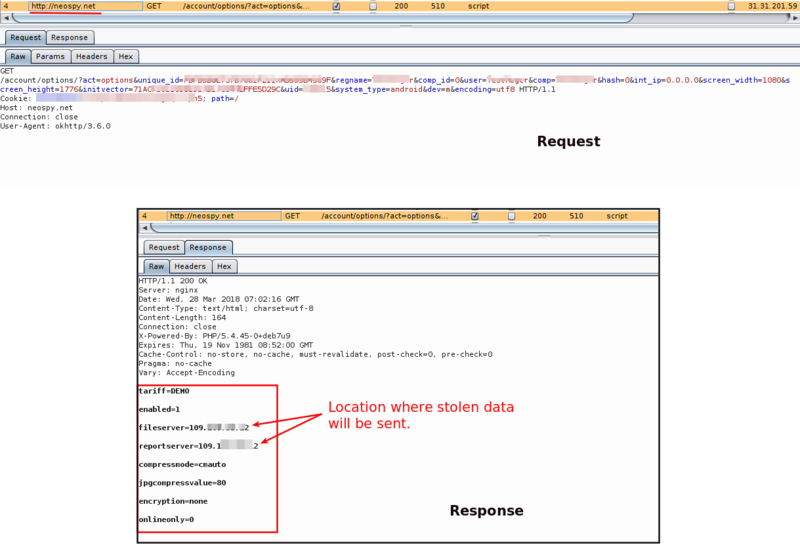 The screenshot below shows stolen data being sent. 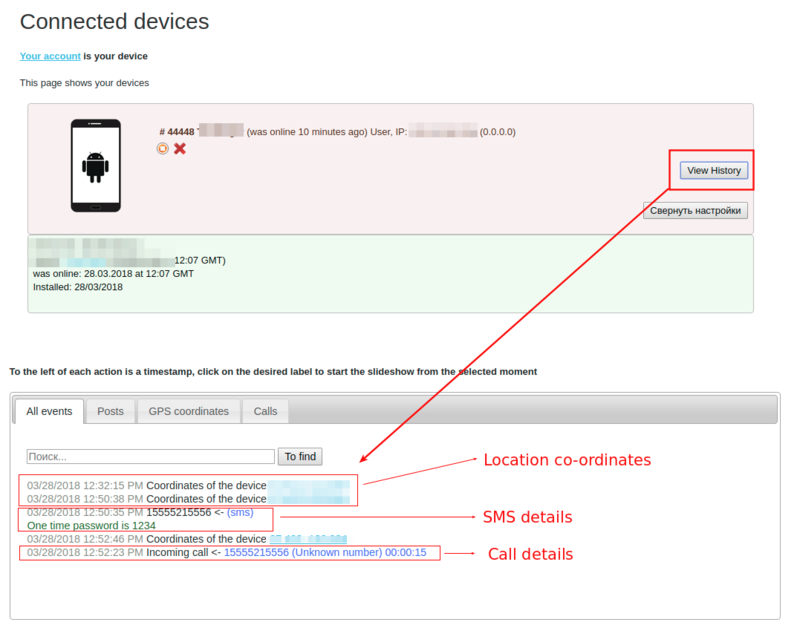 We ran the spyware in a controlled environment where the virtual Android device was made to receive an SMS message and call. The spyware successfully intercepted the data and relayed it to the server. Both the details along with location of the device are visible on the dashboard, as shown in the above screenshot. "This is an effective phone monitoring module that allows you to find a lost phone or tablet using the geographical coordinates sent to your account. Also you will be able to monitor your child, check where he is, and with whom he communicates, protect him from unwanted acquaintances. All data sent to your personal account is securely protected (AES-128 encryption)." The use of Android spyware apps has become fairly common, but with corporate BYOD (Bring-Your-Own-Device) policies, their use can become devastating as employees bring devices loaded with the spyware and connect them to the company's network. It's possible that an infected device on a corporate network could leak sensitive information to an attacker. Or, imagine the presence of a spyware app on a government and defense personnel’s mobile device that could then leak not only private call details, but also locations and photos that may contain highly sensitive information. In most cases, an attacker needs physical access to the device to set up such spyware properly. It is therefore advisable to deploy password-protected measures like pattern lock or pin lock on mobile devices. 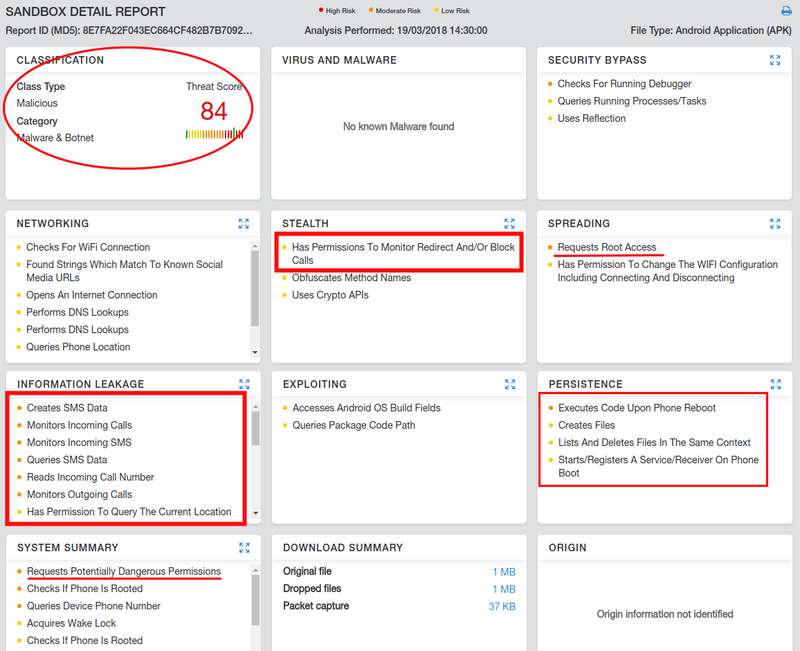 While further examining the Zscaler cloud, we found an increased presence of spyware in enterprise networks over the past two months (see details in Appendix A). Zscaler identified this threat as Android.Gen.Spyware.